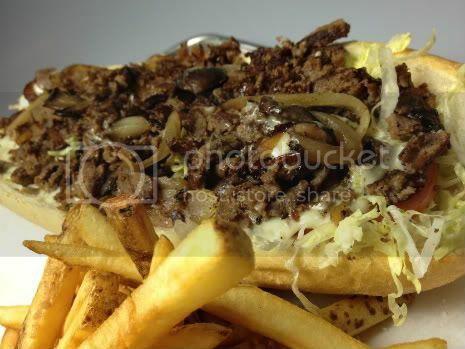 Monti's Philly Cheesesteak via Urban Daddy Chicago. No one really talks about Philly cheesesteaks around here. Why?! Because Chicago is an Al's Beef kind of town. But former Rockit Bar & Grill chef and native Philadelphians James Gottwald and his wife Monti plan on changing that . 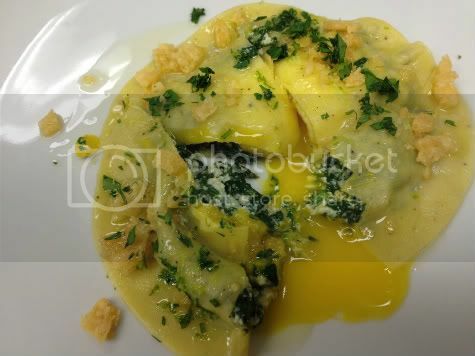 . . at least in the Lincoln Square neighborhood.
. . . GT Fish & Oyster's Stinging Nettle Raviolo. I wish I could tell you how many times I've been to GT Fish & Oyster, but I've honestly lost count. I'm obsessed with pretty much everything on the menu, from the spiked lemonades to the luscious lobster roll.